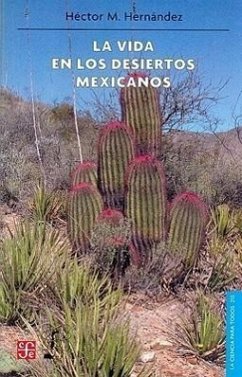 The life in the Mexican deserts reviews the complexities of the life system in the deserts of Mexico and southern United States, in particular the Chihuahuan and Sonoran deserts. This books describes the intricate adaptations of plants, animals, and other organisms, the structure and functioning of desert ecosystems, and the varied natural resources, from the jojoba, guayule, and mesquite to the popular ornament cacti. Mexican deserts have been under anthropogenic pressures ever since men arrived to these regions about 15,000 years ago, but more importantly during the last 50 years. The book emphasizes the need for action to protect these rich and fragile ecosystems.